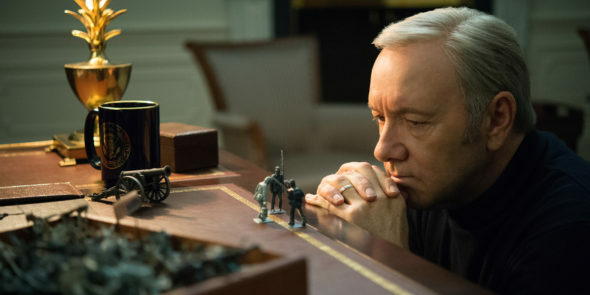 House of Cards called it quits in 2018, after giving the series a proper ending, albeit without the original star of the show, Kevin Spacey. The series would have probably gone on longer, if Spacey did not come into disrepute because inappropriate behavior, and even stronger allegations. 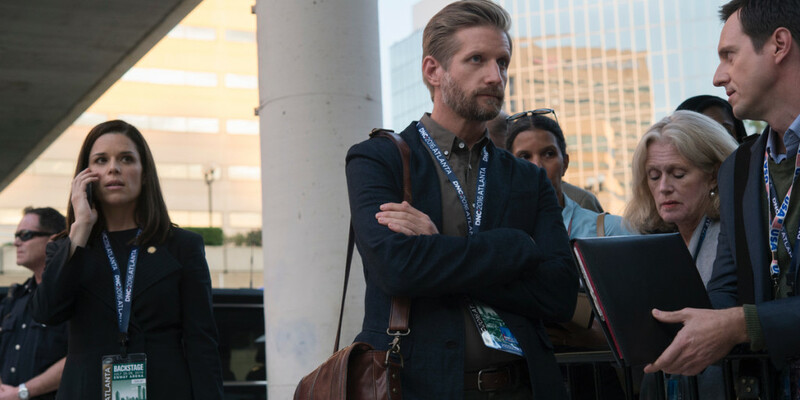 Nonetheless, the political show is what put the Netflix original shows on the map, and it also had a strong following. Now, the 73 chapters of the series have been bundled into one box for your viewing pleasure. While the series is available on Netflix as a whole, it’s still fun to own a physical copy of a show you like or if you don’t have a Netflix subscription and don’t plan on getting one. Like we did with The Strain, we feel obliged to tell you more about the package when investing in a box-set. This time we were given The Complete Series of House of Cards, which comes in a fairly simple box, where the artwork depicts the White House upside-down and that’s pretty much what the series does; turning the White House upside-down. The backside has small summaries of each season, which is a bit strange as some plot points are explained, but it’s no real big deal. The box contains a whopping 23 discs, and they all have separate trays, often having two small spindles per tray allowing storage for two discs. The inside is pretty much like a book, where every ‘thick plastic page’ is the tray of two discs. Overall it looks impressive, but it’s a bit tedious if you always want to place the entirety of the discs back into the box. Each of the discs has nice looking artwork and they clearly state which chapters you can find on them. The story of House of Cards is a simple one on paper, but the scheming and plotting in the series prove to be very intriguing. Many of us know the series, and that Francis Underwood (Kevin Spacey) eventually reaches the highest office in the United States, namely the one of President. The series shows us the scheming he had to do to reach the top, all with the help of his equally intelligent wife Claire Underwood (Robin Wright). You’ll see how he has formed his government, how he is always several steps ahead of his opposition, that he’s not afraid to get his hands dirty and every action is worked out until perfection. As far as political series go, this one might be the best one available, simply because of the backstabbing, the plotting, the scheming and ultimately all the relations and characters that pass the revue. One could argue that a series is a bit too long when it goes on for six seasons, even though it has been years now that series are being stretched out until they are a qualitative mess, compared to their earlier seasons. Nonetheless, House of Cards is a perfect fit, but this is probably due to the fact that Kevin Spacey was fired from the show, forcing the creators to wrap it up after the sixth season where Robin Wright picks up where it all left off. Every season is quite short and every season has a goal which has to be achieved. One of those goals is for Francis to get into the White House, and later on stay in the White House, get reelected, destroy the opposition, and so on. While there are probably many people who could binge-watch a series such as this, the content is rather heavy and you’ll have to keep your wits about if you don’t want to miss small details, which end up being important later during a specific season. The series is content heavy and will remain so until the sixth season’s credits start rolling. 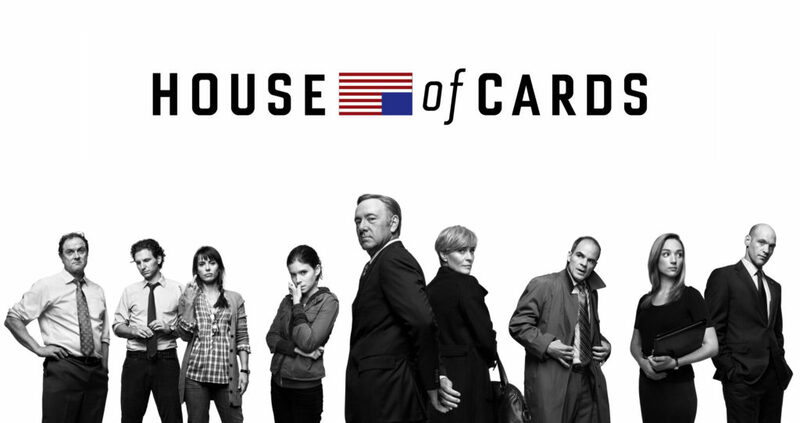 Over the course of the six seasons of House of Cards, the series has had a very impressive cast. 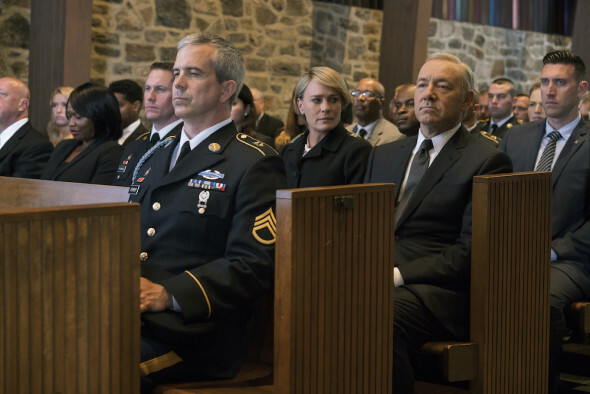 While every season a few new faces popped up, it all boils down to the acting performances of Kevin Spacey, Robin Wright, Michael Kelly, Derek Cecil, Boris McGiver, Jayne Atkinson and several more. All of these bigwigs show us what they can do in this political drama with more than enough mysteries. There are only convincible acting performances in this show, and even the side-characters feel very qualitative. 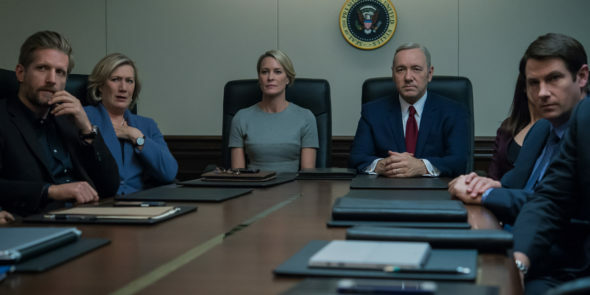 The sixth season still feels a bit strange without the original lead character played by Kevin Spacey, but Robin Wright brings the series to a proper home stretch, by making it about her character’s presidency and the promises her late husband has made in the shadows. Sadly, even the Blu-ray collection of the entire series does not come with any extras, which is a shame. The original releases of each season also always came without any special features, but it would have been lovely if this complete edition would have had something to justify the high price tag of the box. Purchasing six seasons at once will always come with a certain price tag, especially if the last season just got its physical release as well. That being said, House of Cards is a series worth investing in, as it’s a political game of thrones, with superb acting, a lot of backstabbing, many skeletons in the closet and overall good writing. Each season does have its own topical issues, but the six seasons all form a giant puzzle where all the pieces fall into place after you’ve seen the last episode.